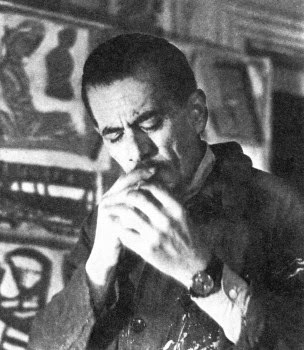 Born in Sassari and grown up in Rome, Mario Sironi is one of the most important artists of the Italian Futurist movement that he joined already in 1914 when he moved to Milan. Before being drawn towards Mussolini’s political movement in the 20s, Sironi took part at the World War I. He enlisted in fact along with several futurists – among other Filippo Tommaso Marinetti or Anselmo Bucci - in the Battalion of Volunteer Cyclists and Drivers, moved then to the Corps of Photoelectrical Engineers. In 1917 he became finally officer and was sent on the eastern front, on the Piave river line. Here, he continued his artistic activity mainly as illustrator for the fortnightly trench newspaper “Il Montello”. These – in part less – renowned works of Sironi are at the centre of a new exhibition in Chieti at the historical Palazzo de’ Mayo, which will start on 22nd February and can be visited till end of May 2014. Supported by S.E.T and Fondazione Chieti, the curator Elena Pontiggia gathers more than 50 works of artists such as Balla, Carrà, Léger, Grosz and Dix and tries so to shed light on the dramatic experience of the WWI, on the one hand, and to depict the Italian and European artistic spirit that influenced the key figure of the exhibition, Sironi. For the first time the graphic and pictorial output of the Italian Futurist artist during the time-span 1915-1918 will be analyzed in details, without neglecting some of his most important works of the 1920s.